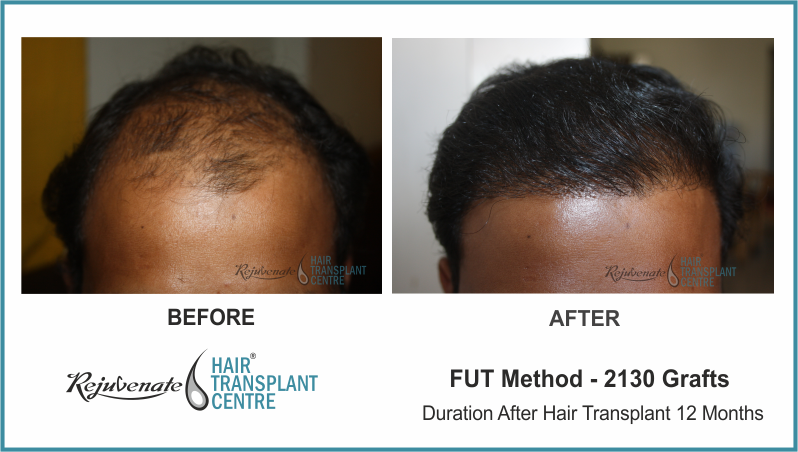 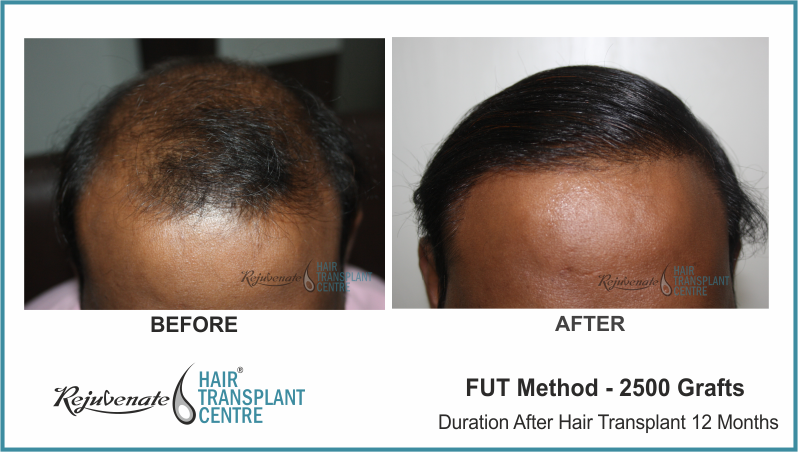 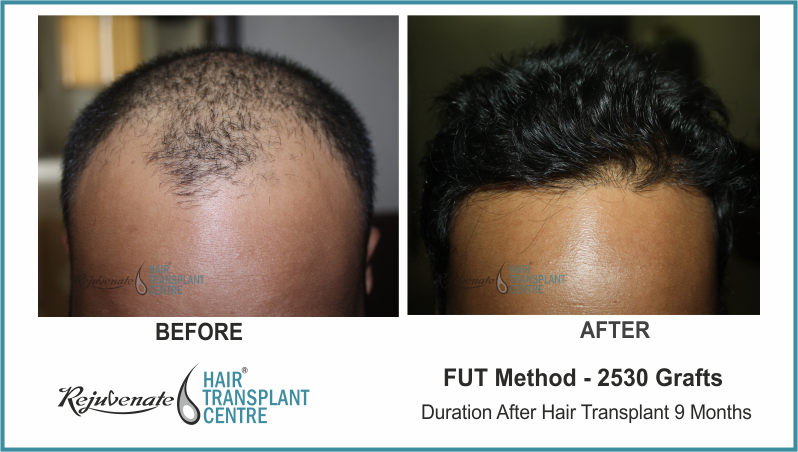 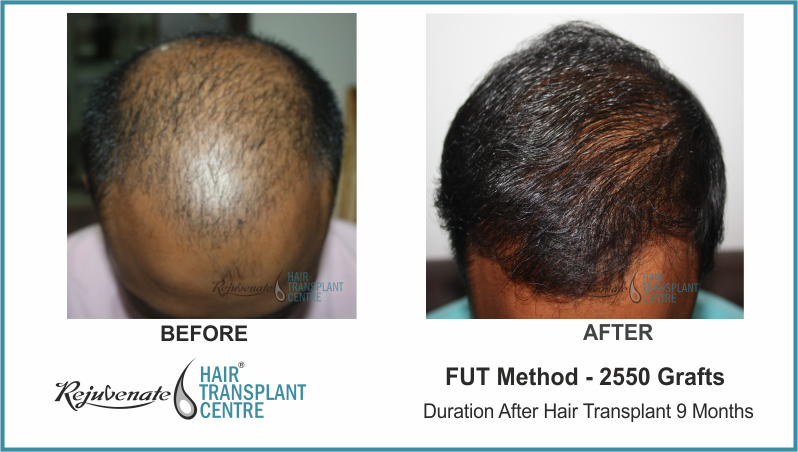 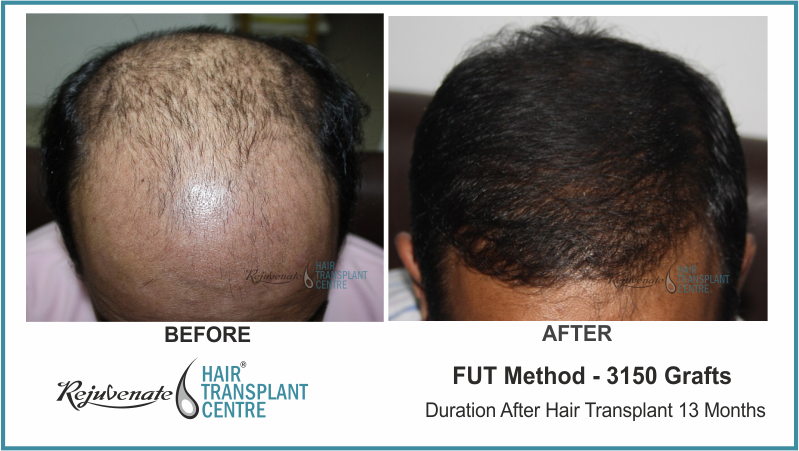 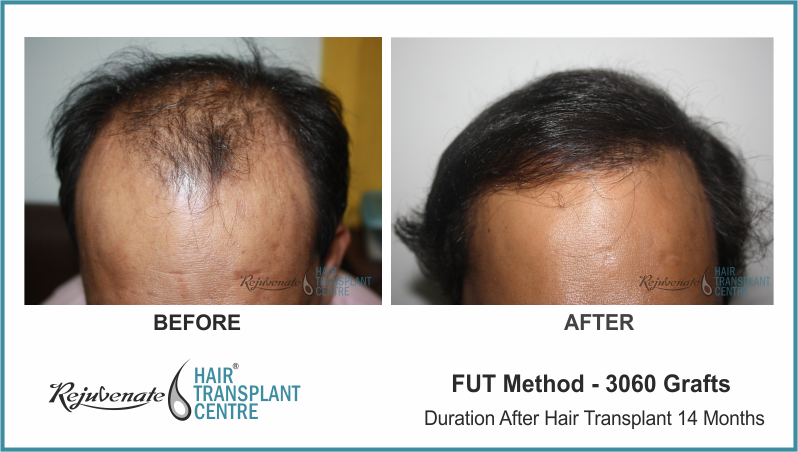 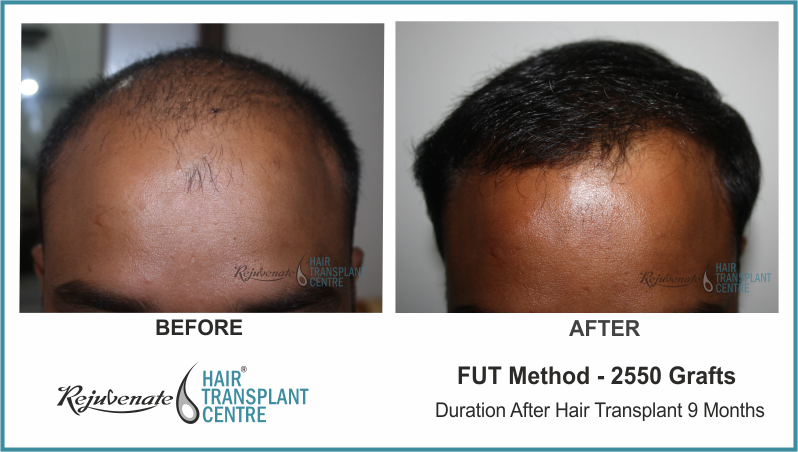 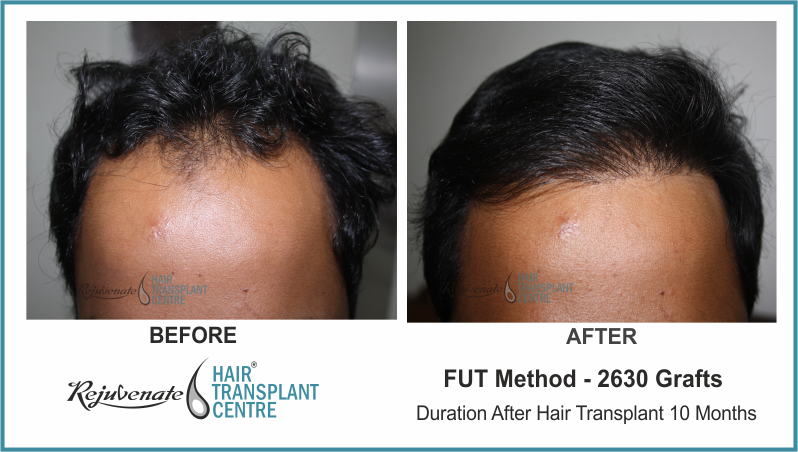 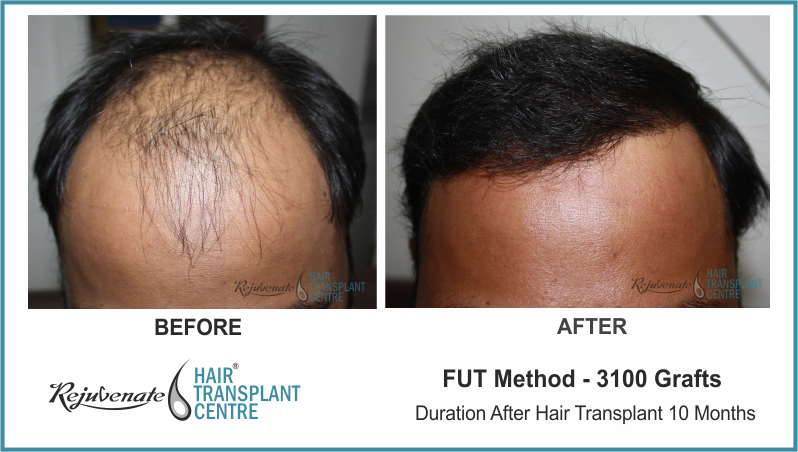 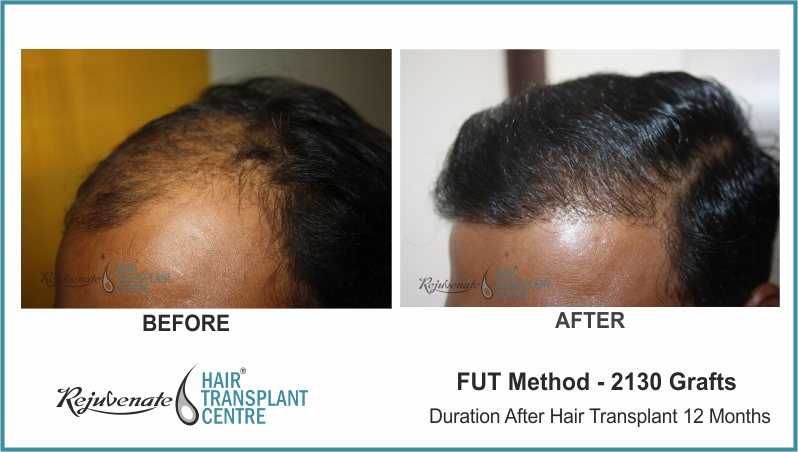 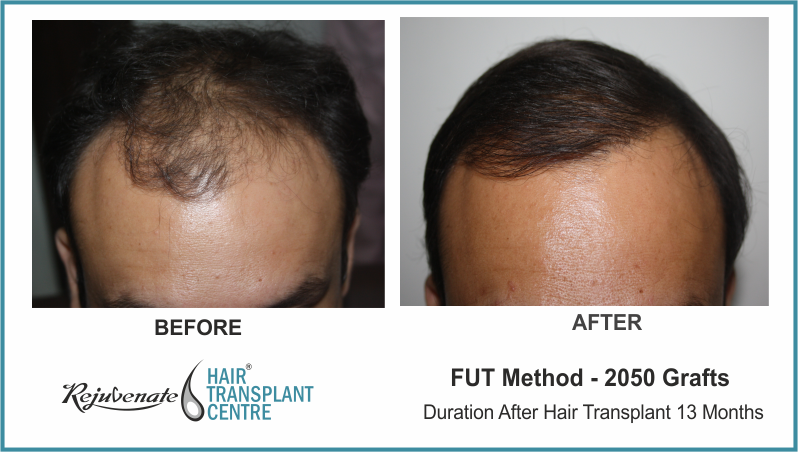 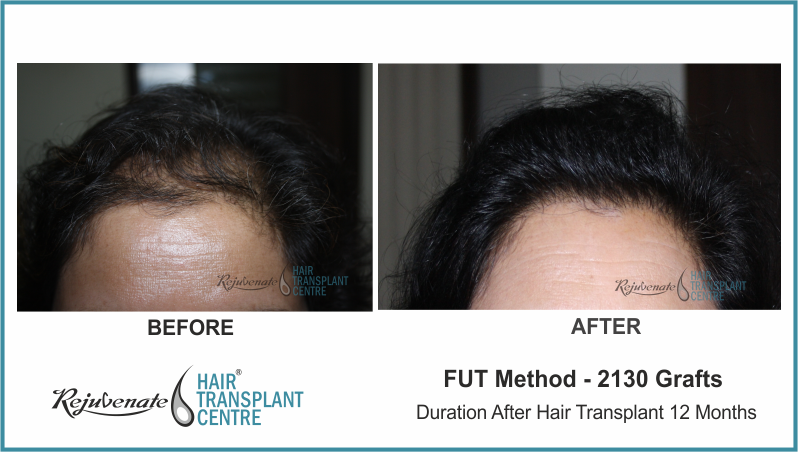 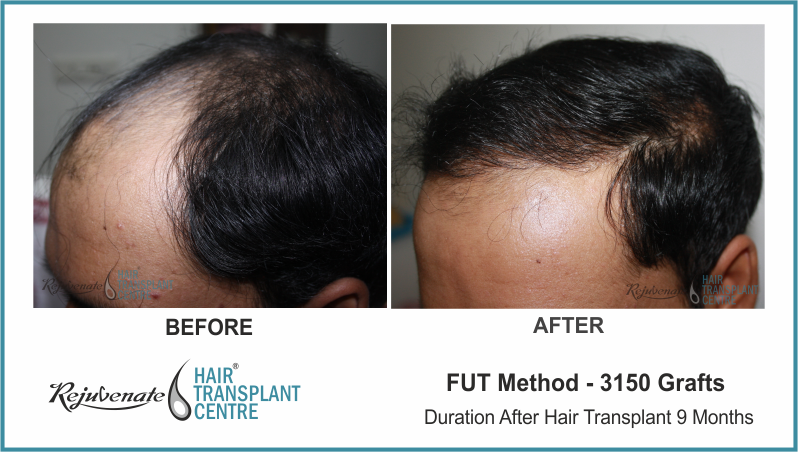 These are natural hair transplant results done by Powered hair transplant (PHT) at Rejuvenate Hair Transplant Centre. 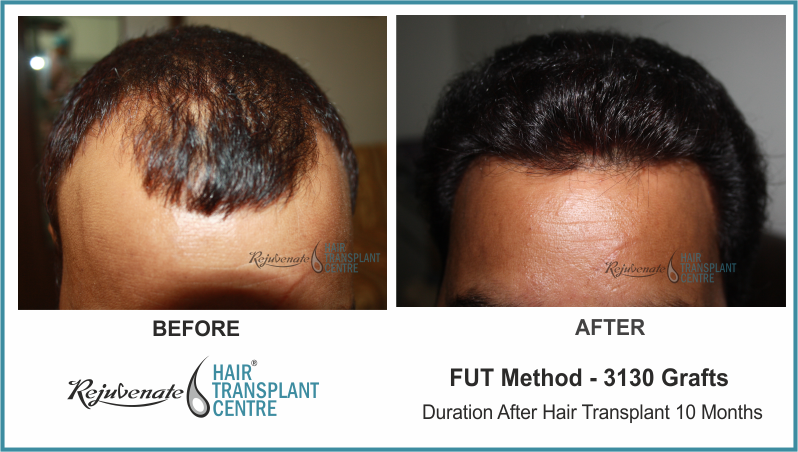 There is two basic technique to harvest hair follicles from the donor area. 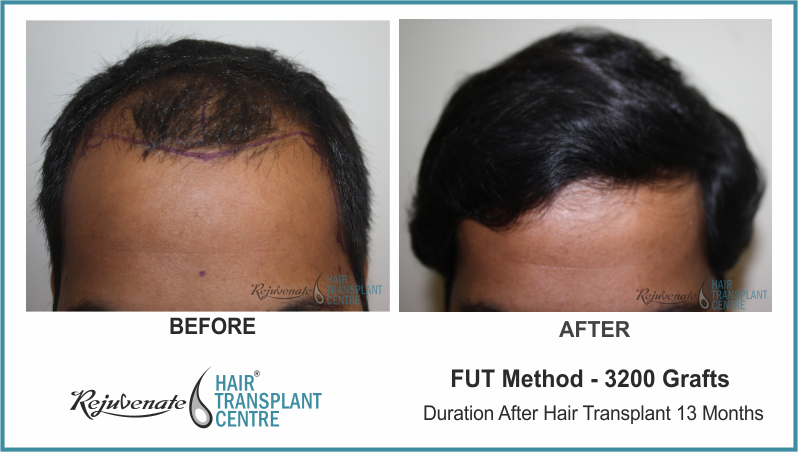 FUT in which strip of skin is taken from the back side of the scalp and wound is closed with sutures. 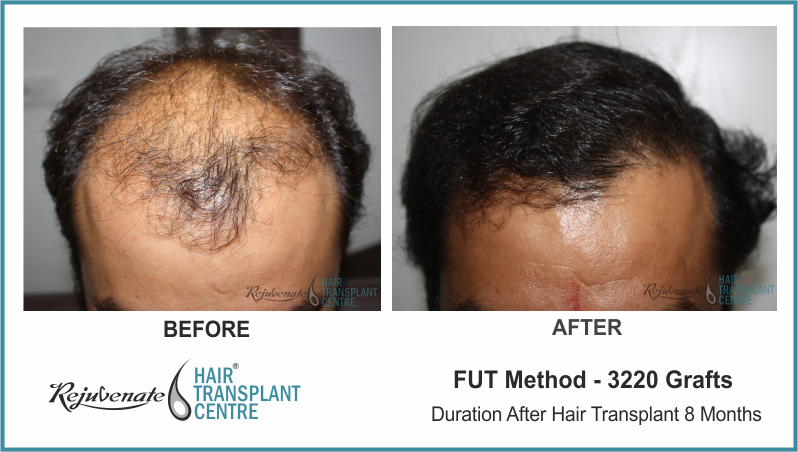 From skin strip, follicles are dissected and then implanted. 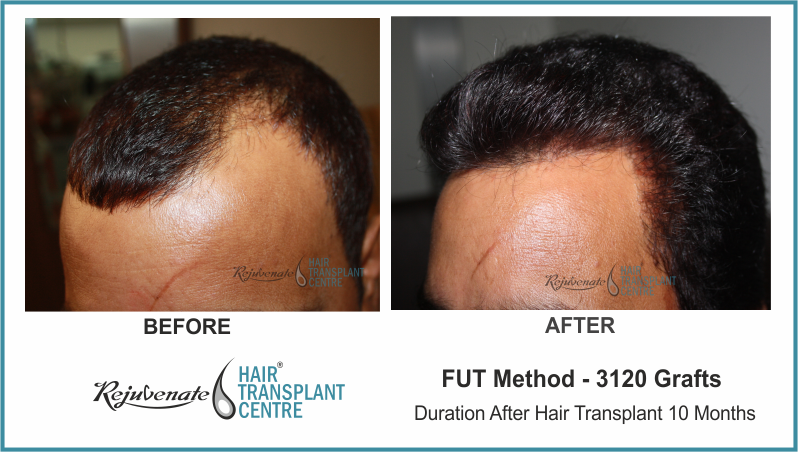 Another is FUE. 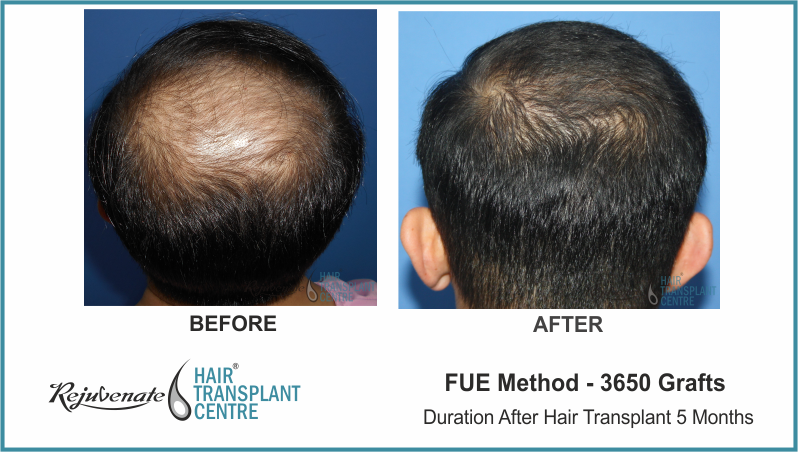 In FUE individual follicles are harvested from the donor area without giving any linear incision on donor area.The FUE donor area can be back side of scalp. 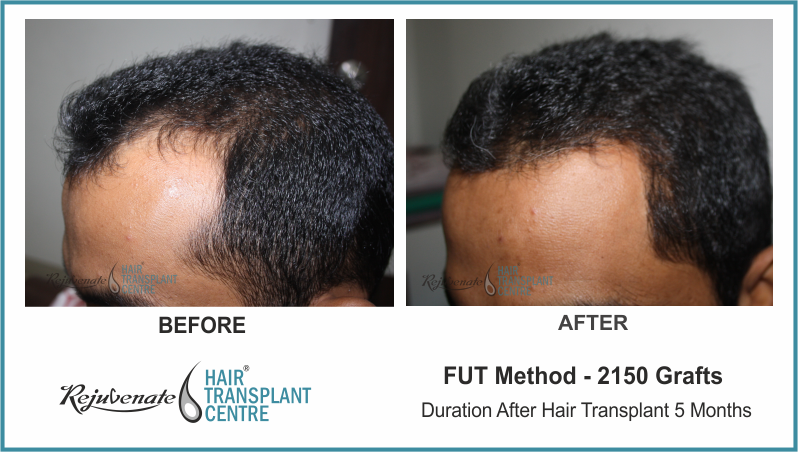 Body Hair Transplant-Hair follicles can be harvested from non-scalp donor area like beard, chest, abdomen and other body parts. 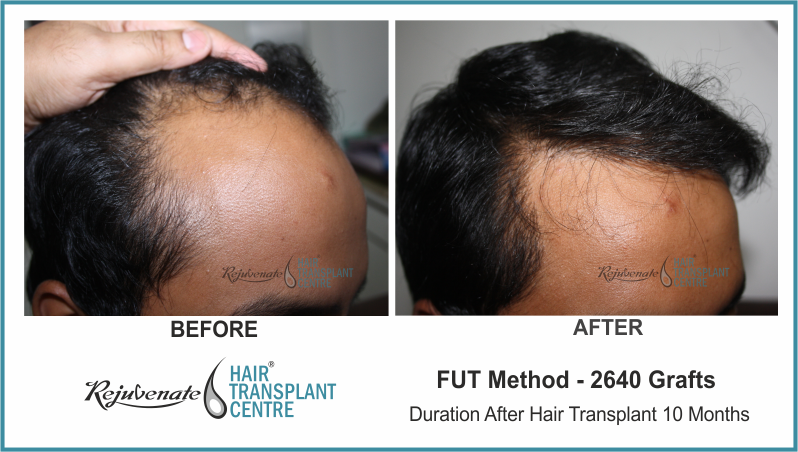 When non-scalp donor area is used for follicles harvesting than it is called as Body hair transplant or BHT. 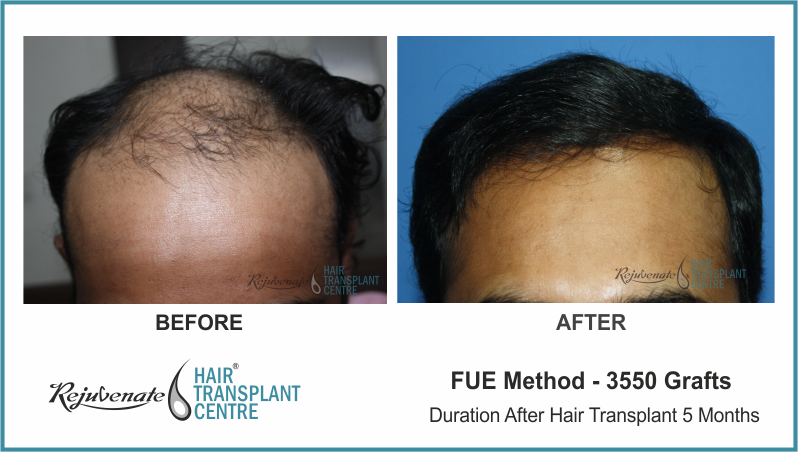 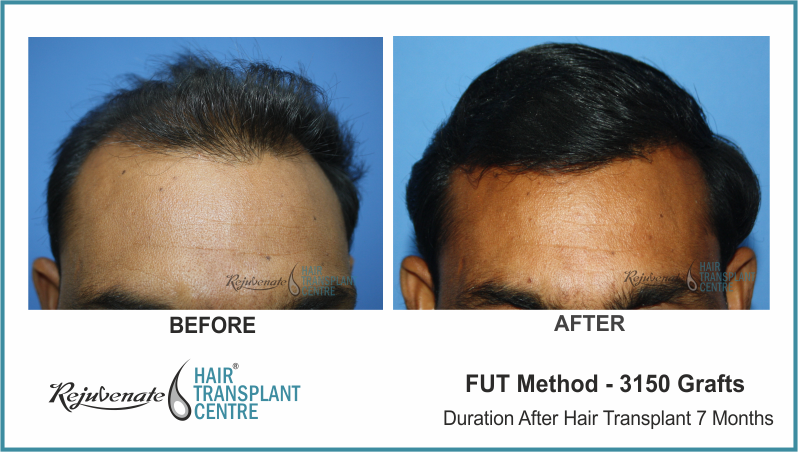 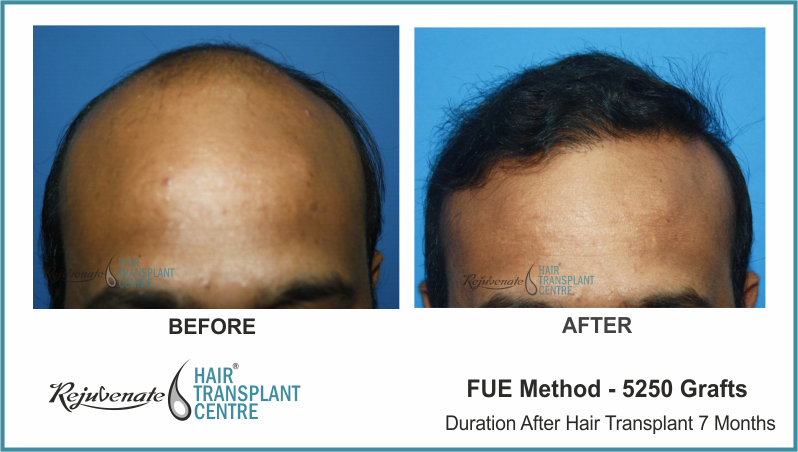 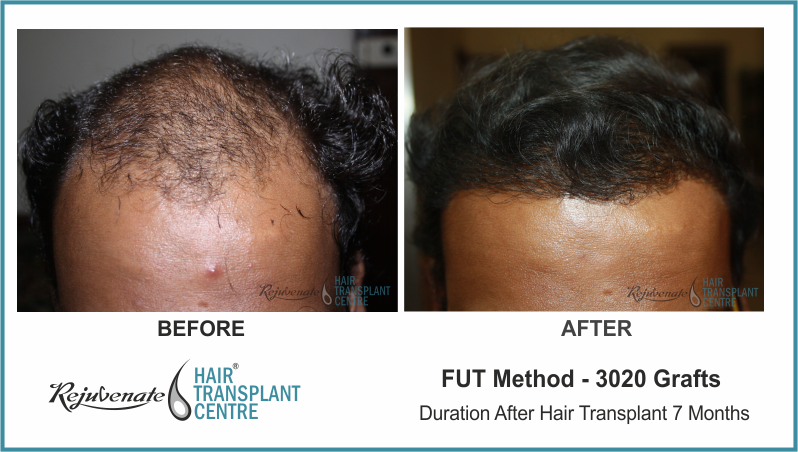 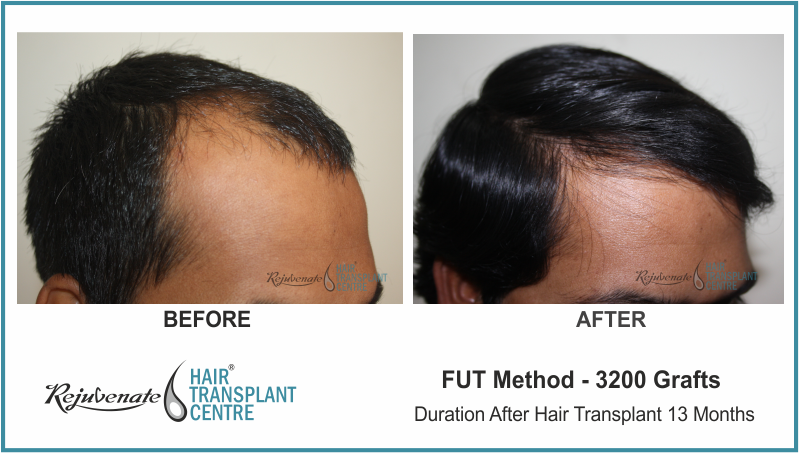 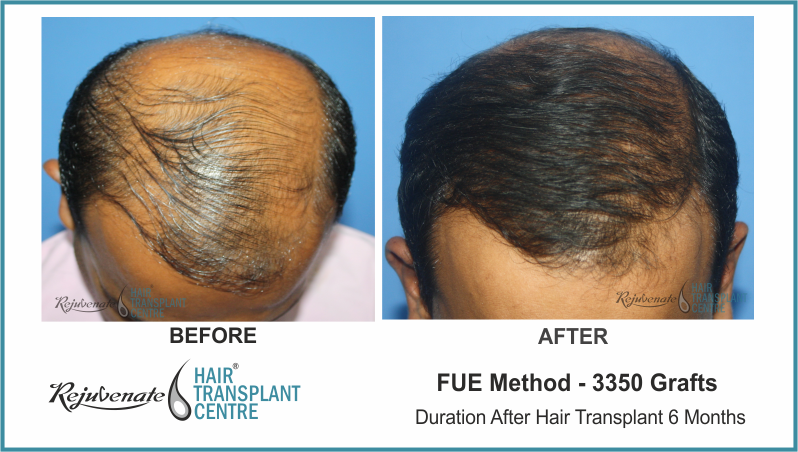 Combo Technique Of Hair Transplant—in this combination of FUE and FUT is done to harvest more number of hair follicles in single stage. 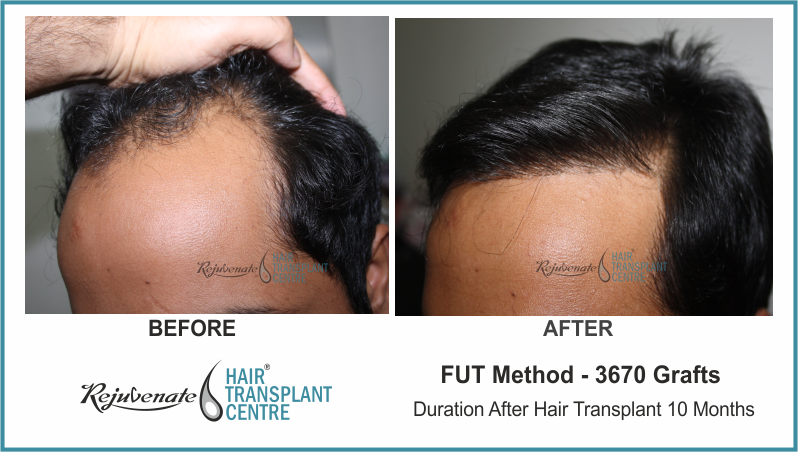 Rejuvenate Combination Technique Of Hair Transplant (RCT) This is most recent advance technique of hair transplant, routinely done at Rejuvenate hair transplant centre. 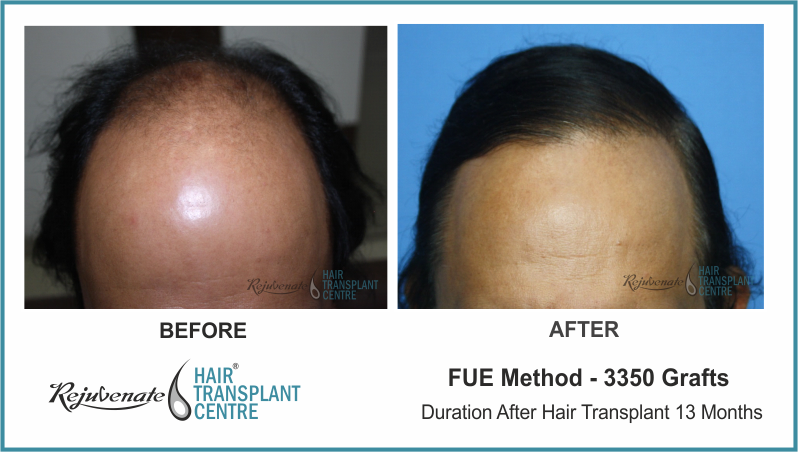 In this the scalp follicles are combined with body hair follicles mainly beard and implanted in forelock and in crown area to get more visual density. 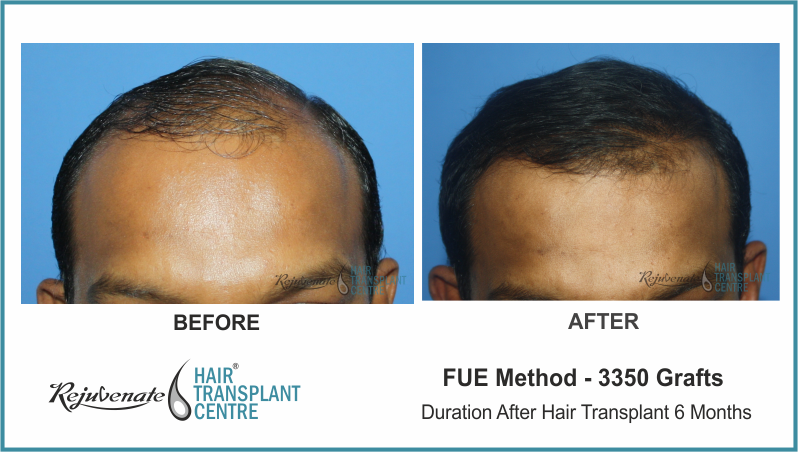 In advance grade of baldness usually more than 8000 grafts are needed to give satisfactory visual density. 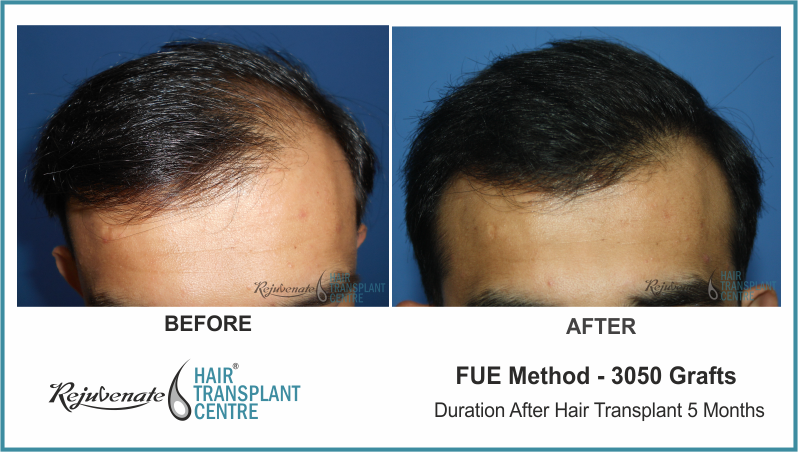 As per standard calculation from scalp safe donor area 5000 to 6000 grafts in multiple stages can be harvested. 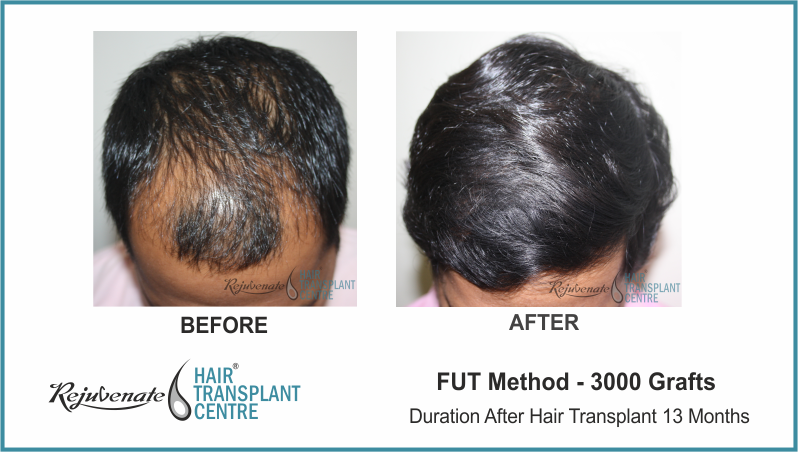 So to cover up the deficit of 2000 to 3000 grafts are needed fromnon-scalp donor area. 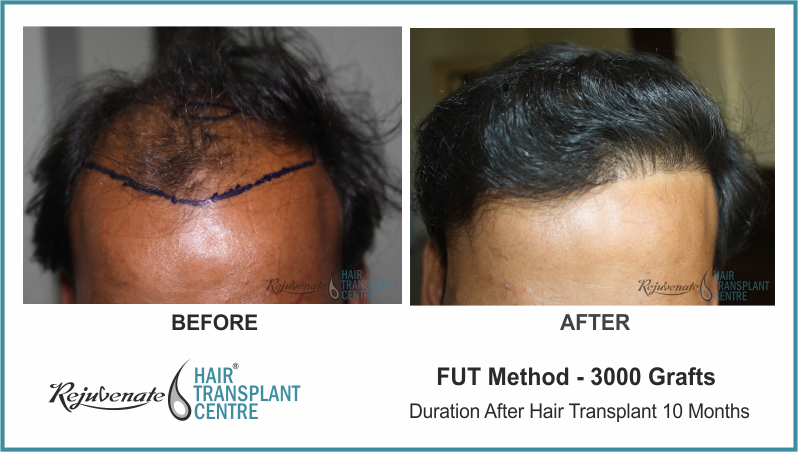 this speculation and calculation shall be done when we are doing first hair transplant. 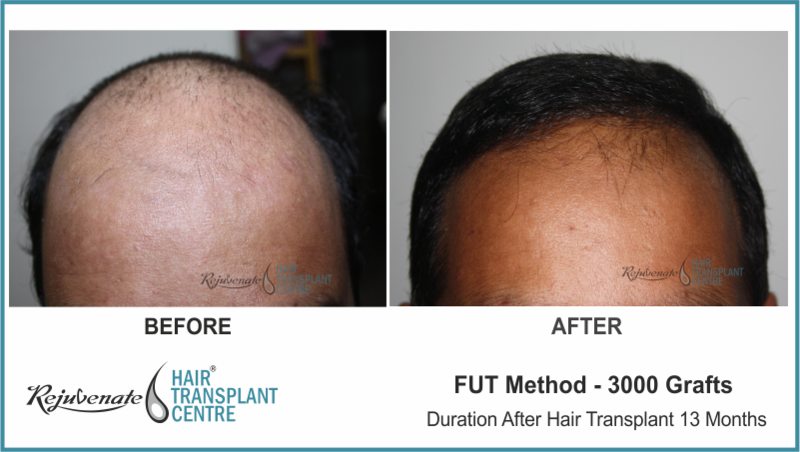 At Rejuvenate we have develop this vision and we plan transplant in such a way that unless until proved otherwise every patient might develop grade VII baldness and will need more than 7000 grafts in total. 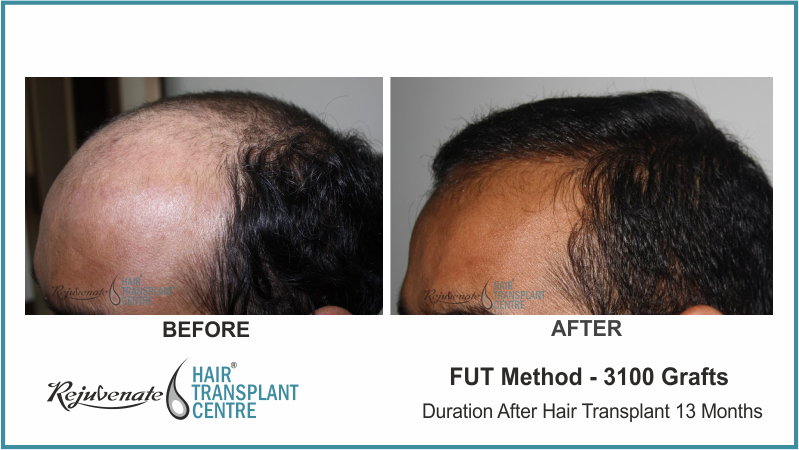 So we plan to do “combination grafting” called RCT and combine scalp hair follicles with body hair follicles (provided that patient has body hair and give consent for it). 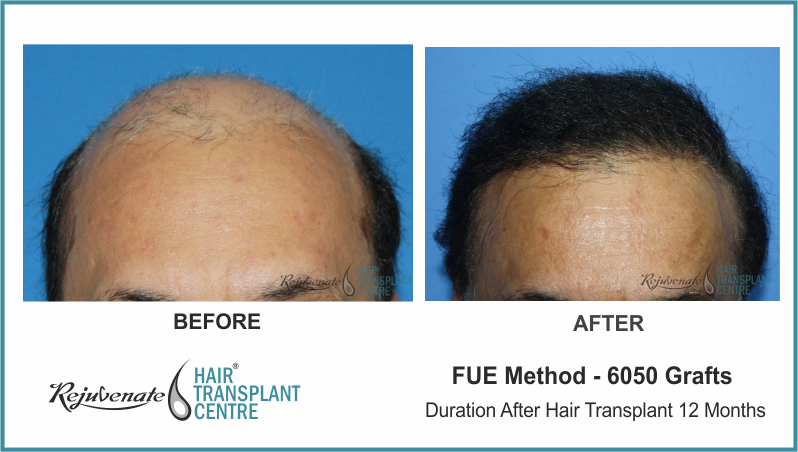 The results are very promising with added advantage of most precious scalp hair follicles are preserved for future harvesting. 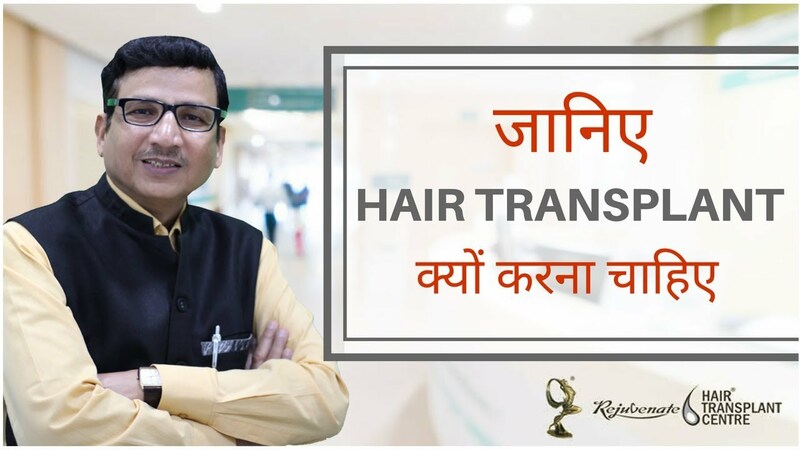 Following are few examples of our results of hair transplant done by using all above techniques explained above.